Have you experienced the following bedbug symptoms? 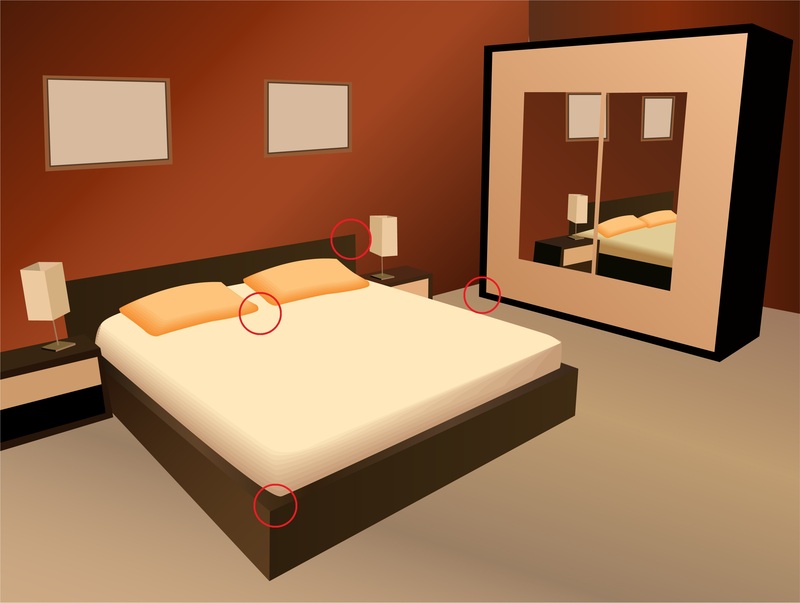 Bedbugs are very discreet, however there are some tell tale signs of a bedbug infestation. Please note: If you do not have some or all of the symptoms below it does not rule out the possibilty of a bed bug infestation. If you have experienced any of the following symptoms it is likely that you have a problem with bed bugs. Bed bugs are becomign increasingly common in the UK. It is vital you are aware of the signs so that the problem can be treated and removed quickly. Faeces. These are dark or black spots or stains on your bedding or mattress. Often found on headboards. Smell. Bedbugs omit a sweet scent, similar to the smell of almonds, although not as pleasant. Sightings. When fully grown bedbugs are approximately 4-5mm long, which is similar to the size of your small finger nail. You may also notice their casings (shed skin) which are similar in size. The most common sign of having bedbugs would be bitemarks. Bedbugs feed on your blood, if you are being bitten at night and you are not sure what it is, it is likely to be bedbugs. In and around your mattresses. On or behind your headboard. Any crack or crevice near sleeping areas, such as skirtingboards, bedside units etc. If a lot of time is spend in living rooms, sofas are often breeding grounds for bed bugs also. There will be other areas where you may find bedbug activity. However the above is a guide on the most common places. Remember bedbugs can fit into any gap that you could push a pen nib into, they can be anywhere. It is however unlikely that bedbugs are using your clothing as a harbourage. The reason for this is they prefer hidden areas that have less activity, and they need to be as close to you as possible. If you are experiencing any of the above you should call for advice on what to do next. Leaving a bedbug problem will only make it worse. The longer a bed bug infestation is left, the harder it is to get rid of.